This is a handmade sterling silver cicada insect with a green agate gemstone that can be worn as either a brooch or a pendant. In researching this piece, I found it so interesting that cicadas have been symbolic since ancient times. They are considered to be a symbol of youth, protection, good fortune, good health and unlimited energy. 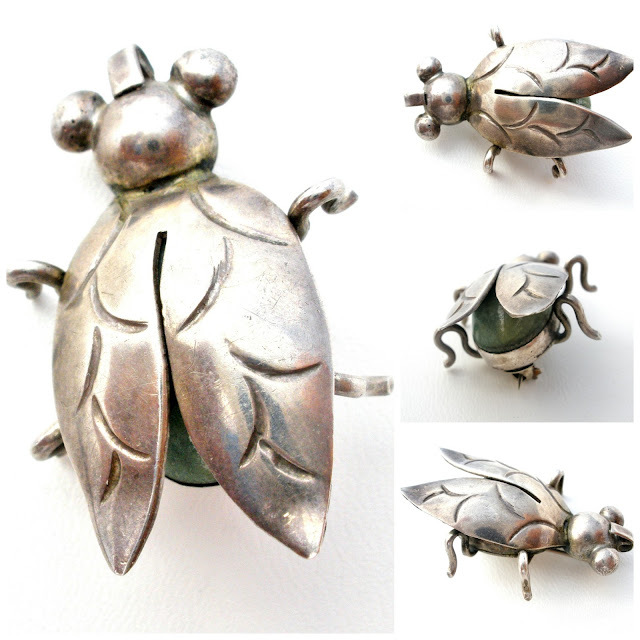 Vintage sterling silver cicada pendant brooch can be found here.